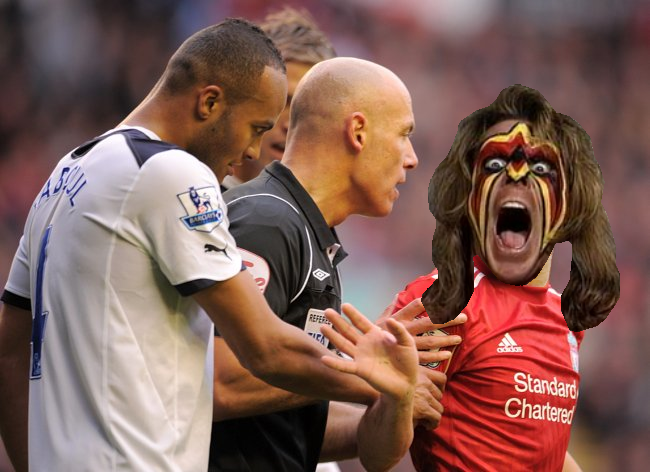 Which Liverpool player is lurking behind The Warrior? Previous answer: Who’d have thunk it? 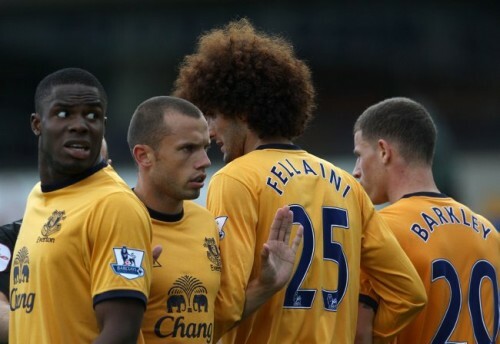 ‘Twas young Johnny Heitinga hiding behind Gerard Depardieu’s gigantic Gallic schnoz! Congrats to Davy, Andy Gray and everybody else who guessed correctly! adam (while getting sent off maybe). Suarez. If it is him he probably looks more angry in the original picture. cause everyone has said lucas already, i’m gonna say henderson? This was probably last season. Adam … you can sort of see his forearm tattoo. Plus wasn’t crouch not on spurs last week when they played the reds? It’s last season as that is Peter Crouch behind Webb.